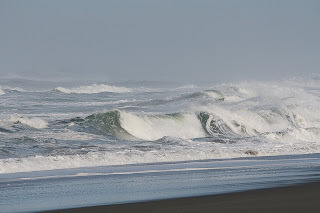 Yesterday we drove to a new area for us and it turned out to be a great day for wildlife veiwing on the South Spit including Humboldt Bay National Wildlife Refuge and Humboldt County Park. 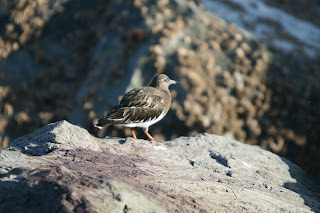 The South spit is approximately 4 1/2 miles long with sand dunes on the ocean side and marsh and mudflats on the bayside. 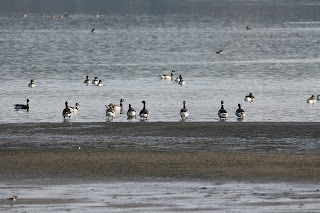 Brant (Branta bernicla) are common in the winter months at Humboldt Bay. 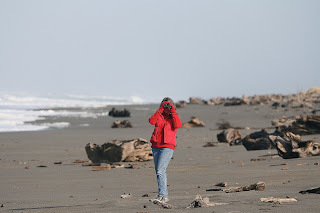 The long wave and wind swept beach is scattered with driftwood and an ocassional birder. 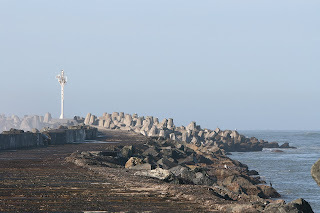 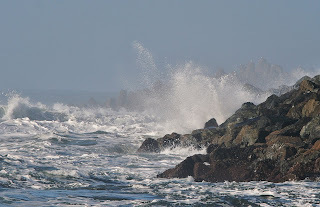 The South Jetty with it's manmade cement monoliths can be reached by foot on slippery footing and sometimes dangerous waves crashing over it. 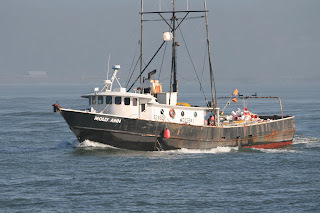 It allows boats like the "Molly Ann" to enter the sea safely. 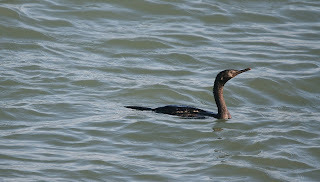 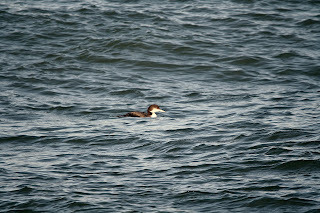 Brandt's Cormorants, Black Turnstones and a Common Loon were some of the birds seen on this trip. 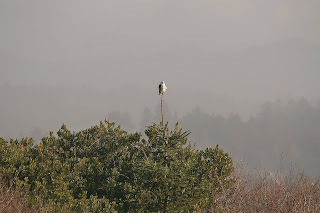 We also saw Northern Harriers floating low over the grassy areas between the dunes and the bay and a White-tailed Kite perched high on a conifer in the distance. 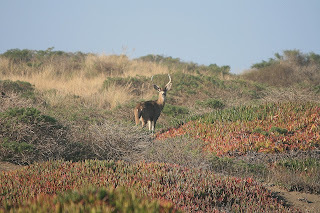 For those who enjoy the outdoors and all it has to offer this area should not be missed.